First time ACLS certification or ACLS renewal has never been easier. With our online acls courses, you can get certified in as little as 1 hour. Use Promo Code California at checkout to save 15% today! We offer complete ACLS, PALS & BLS training online. Our courses are designed to give you the flexibility to study and take your exams when, where and how you want to. Get instant access to online study material including practice exams, Algorithms, the ACLS Mobile app and more. Once you have passed the exam, you also get instant access to your provider card, with 2 hard copies shipped to your door. 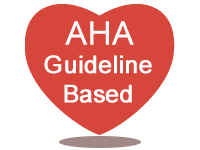 Our study material and exams are written and updated by a team of medical professionals in accordance with the latest AHA/ILCOR guidelines. Getting your ACLS, PALS or BLS certification or renewal has never been faster or more convenient. Simply choose your courses, checkout, and get instant access to your online classroom. Inside you can study, take practice exams, and get certified or renew your certification in as little as one hour. You can study and take the exam from any device anywhere at any time. Our courses are 100% online with no skills check. Our online courses make your life easier. You don't need to schedule a course, or sit down in a classroom. Once you sign up, you'll have everything you need to study and pass the final exam. The advantage of online training, is that you can get your certification on your own time. We provide you with unlimited practice quizzes and final exam retakes with no time limit. 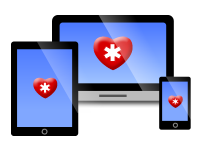 We also provide you with online study algorithms and the ACLS Mobile study app. We are committed to your satisfaction. 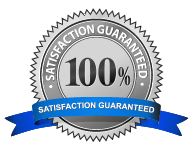 All of our ACLS, PALS, and BLS courses, first time certification or renewals come with a 100% satisfaction guarantee. We provide you with a 30 day no risk money back guarantee to affirm our dedication to your satisfaction. If you are wondering whether or not online certification is for you, give us a try! If you are not satisfied just let us know, and we will take care of you. You are what make us successful and you are our first priority. California ACLS Courses are accepted nationwide! 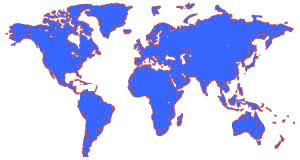 Not only are our courses accepted across California, but also across the nation, and the globe. California ACLS provides courses to thousands of medical professionals across the state every year, and we are proud of our 98% acceptance rate. Like anything, everyone has their own preference. Many medical professionals are finding our courses to be not only convenient, but hassle free as well. JCAHO requires that an evidence based training program be used to train appropriate staff in several areas; How to recognize the need for resuscitation equipment, how to use that equipment, and how to utilize techniques for resuscitation efforts. Our training programs are based on the ILCOR (International Liaison Committee on Resuscitation) guidelines, which are developed by members, such as AHA (American Heart Association). ACLS courses based on these standards are recognized as being evidence based. All of our ACLS, PALS & BLS courses are written by medical professionals certified in Emergency Cardiovascular Care.